FREE Rotisserie Chicken With Family Meal Purchase! 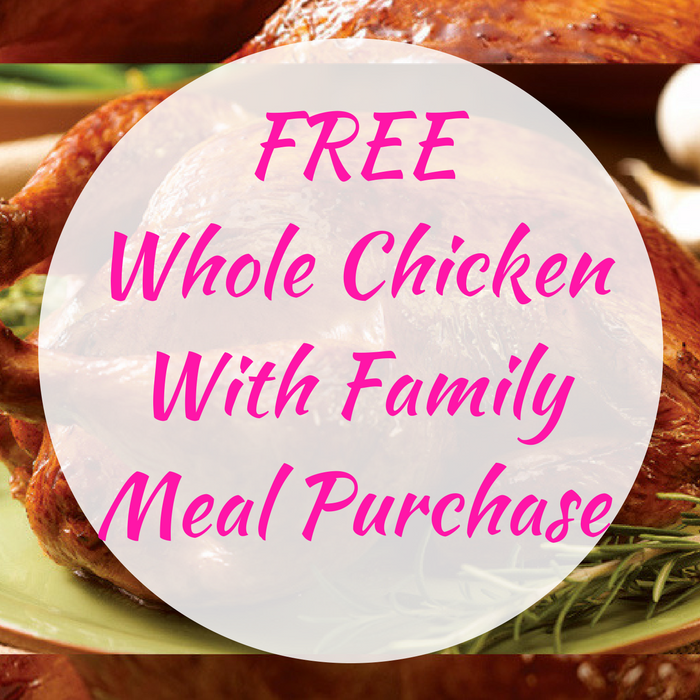 You are here: Home / FREEbies / FREE Rotisserie Chicken With Family Meal Purchase! For a limited time only! Score a FREE Rotisserie Chicken With Family Meal Purchase at Boston Market! The offer is valid while supplies last, at all participating Boston Market restaurants. Don’t miss it! Click here to find your nearest Boston Market Restaurant!